Viking has released five brand-new ocean cruise itineraries that cover all the highlights of the Mediterranean. Departing in 2020 and 2021, these newly released cruise-tours combine some of Viking’s most popular existing Mediterranean itineraries. Mediterranean & Atlantic Crossing — a 27-day ocean cruise from Rome to Miami, calling into France, Spain, Portugal and more. Priced from $10,395 per person, departing 6 October 2020. Antiquities of the Mediterranean — a 22-day ocean cruise from Venice to Barcelona, calling into Croatia, Montenegro, Greece and more. Priced from $11,995 per person, departing 18 March 2021. West Indies & West Mediterranean — a 21-day ocean cruise from San Juan to Rome, calling into Portugal, Spain, France and more. Priced from $7,595 per person, departing 19 February 2021. Iconic Adriatic Antiquities — a 15-day ocean cruise from Venice to Rome, calling into Croatia, Montenegro, Greece and more. Priced from $7,895 per person, departing 18 March 2021. Caribbean & Mediterranean Odyssey — a 26-day ocean cruise from San Juan to Venice, calling into Portugal, Spain, France, Greece, Croatia and more. Priced from $11,295 per person, departing 12 March 2020. 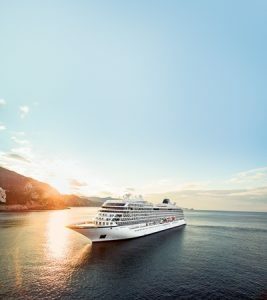 “The Mediterranean is a fabulous destination for cruising and our brand-new ocean cruise combos are the perfect way to experience this region on a whole new level.We strongly encourage guests to book now to avoid any disappointment as our Mediterranean itineraries always sell out so quickly,” said Lubica Sibikova, Operations and Product Manager at Viking Cruises.